Click here for 2 full quotes on Abortion OR other candidates on Abortion OR background on Abortion. 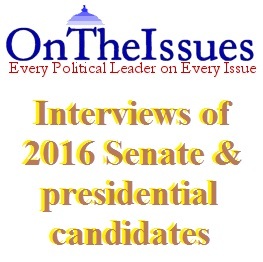 Click here for 3 full quotes on Civil Rights OR other candidates on Civil Rights OR background on Civil Rights. 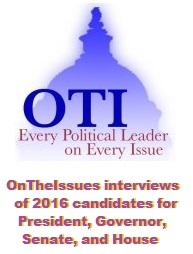 Click here for 3 full quotes on Crime OR other candidates on Crime OR background on Crime. 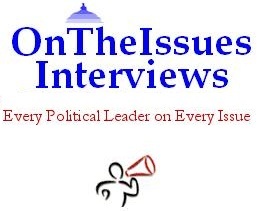 Click here for 6 full quotes on Government Reform OR other candidates on Government Reform OR background on Government Reform. Click here for the full quote on Principles & Values OR other candidates on Principles & Values OR background on Principles & Values. Click here for 3 full quotes on Tax Reform OR other candidates on Tax Reform OR background on Tax Reform. 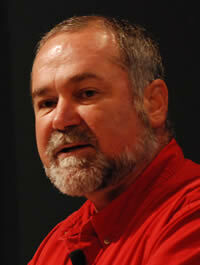 Robert Steele is a Progressive Libertarian.